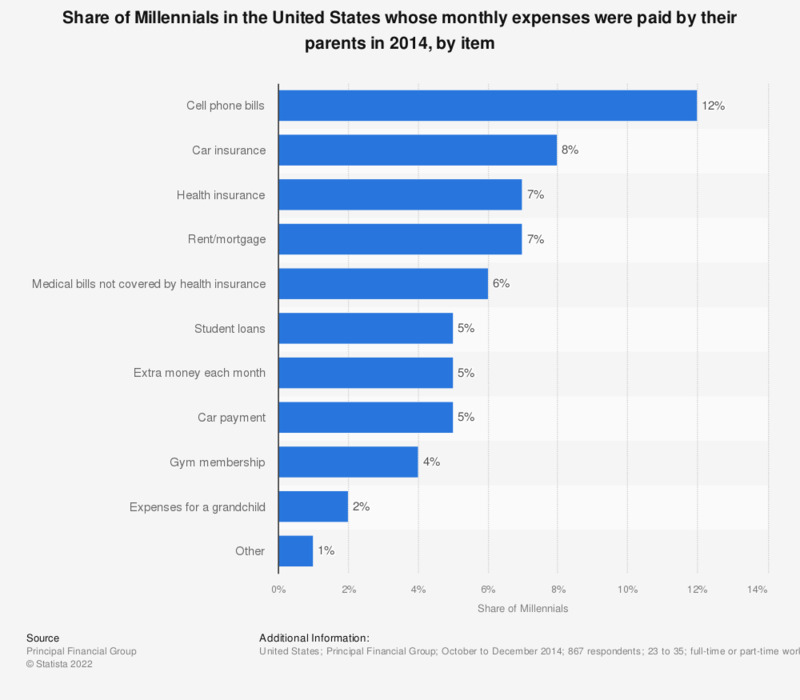 This statistic presents the distribution of Millennials in the United States whose monthly expenses were paid for by their parents in 2014, sorted by item paid. During the survey, 12 percent of the polled U.S. Millennials stated that their parents paid their cell phone bills. Do you feel like you made the right choice taking out student loans to pay for your education?